We Earthlings have always been fascinated with the next planet over. While lots of pop fiction has speculated about aliens from other planets, the Venutians, Plutonians, Vulcans and Orkans have always been outnumbered by the Martians. But the interpretations have been vast and varied. Do they have tentacles, three eyes and oversized brains? Or could that be one of them sitting next to you right now? In H.G. Wells’ classic 1898 novel that inspired the new Steven Spielberg film, “The War of the Worlds ,” invading Martians are described as having a quivering v-shaped mouth, no brow ridges no chin, groups of tentacles, huge intense eyes, and fungusy, oily brown skin. They are essentially huge brains with tentacles who use robots for their manual labor. 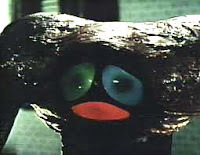 When producer George Pal turned Wells’ novel into a movie in 1953 , the aliens gained bodies, but retained the tentacle-like arms with three-fingered hands with suction cup tips. Their faces house three huge eyes, one red, one green and one blue. They’re part squid, part projection TV. 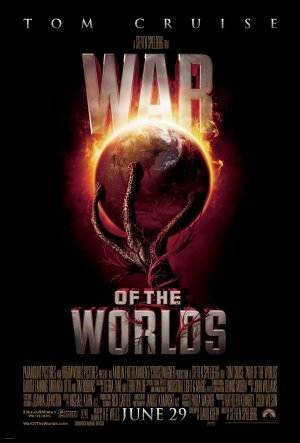 Actually, one bizarre looking Martian did hit the movie theaters before “War of the Worlds,” and it may be the most popular one of all. In the 1948 Warner Bros. cartoon, “Haredevil Hare ,” Bugs Bunny is sent to the moon, where he encounters a hostile little Martian with a round head, clad in skirt, helmet and sneakers, full of intent to blow up the Earth (which blocks his view of Venus). While he was originally unnamed, we’ve come to know him as Marvin the Martian and he’s become one of animator Chuck Jones’ most beloved characters. In 1953’s “Invaders From Mars ,” there’s a mixture of Martians (shown for the first time in color). While the Martian Master is more akin to Wells’ literary creature, the workers are humanoid, with ping pong eyeballs and three fingers, resplendant in oversized hoodies with zippers running up the backs. Throughout the primordial effects era of the ‘50s and ‘60s, movie Martians were rarely visually impressive. Whether through budgetary restraint or lack of vision on the part of the mostly B-filmmakers, in movies such as “Flying Disc Man from Mars ” (1950) and “Flight to Mars ” (1951), they look just like us. In “Rocketship X-M ” (1950), they’re humanoid, although they appear as cavemen suffering from radiation burns. Sometimes they simply had green face paint and they almost always wore a jumpsuit of some type. But every once in a while, the slight difference between us unintentionally made them memorable. 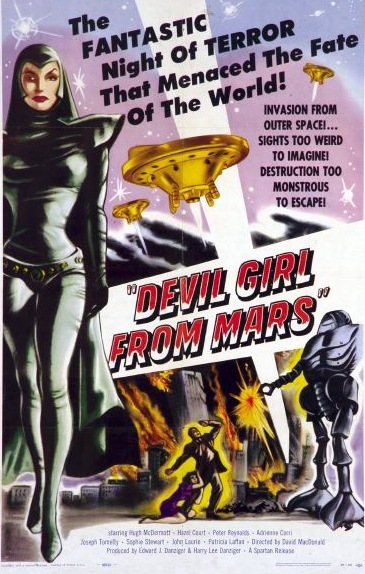 In “Devil Girl From Mars ” (1955), we meet Nyah, a tall, beautiful woman trolling England for suitable men to take back to Mars for repopulation. And what better way to lure Earth fellas off the globe than by wearing a skintight black leather outfit? In the cult classic, “Santa Claus Conquers the Martians ” (1964), the invading aliens look like a band of futuristic sewer workers who are bent on revenge for having to wear ill-fitting bodysuits with embarrassing logos, belts on loan from the WWE and really, really cumbersome headgear. One big exception to the “green man” standard was 1959’s “Angry Red Planet .” In this film, there’s no shortage of vicious Martian beasties: Giant green bat-spiders, man-eating plants, amorphous slithering blobs with one eye and more three-eyed Martians with devil horns. On TV in 1963, “My Favorite Martian ” Ray Walston was only differentiated from humans by his retractable antennae, which looked exactly like they came off of a TV rather than anything organic. In the 1999 big screen remake , Christopher Lloyd took over the role of “Uncle Martin,” and it was established that the remarkable resemblance between Martians and humans was due to shape shifting abilities (fellow Martian J’onn J’onzz from the Justice League counts this among his powers as well). In Tim Burton’s, “Mars Attacks! ” (1996), the aliens are small beings with heads that look like skulls with giant green brains. Except for the obligatory tall beautiful female Martian played by Lisa Marie. The movie is based on the classically gory trading cards series of the 1950s that shocked parents and jazzed kids along with EC horror and sci-fi comics (which may have featured some of the most creative interpretations of visitors from other planets). When the Mars Rover landed on the red planet in January of 2004, few people expected it to beam back photos of little green men. Still, no doubt some people were disappointed that tentacle tracks weren’t found on “Purgatory Dune.” Which just means that Hollywood’s gonna have to keep moving further away as it comes up with alien menaces. It’s too bad, really; Uranusians just doesn’t have a nice ring to it.